Today our group started to go from strangers to one big family. It only took one day of work, and it’s now like we’ve known each other for forever. We got up at 6:00 a.m. for breakfast provided by United Saints and each group decided where to work. Two groups went to Mr. Steve’s house for siding and painting work. 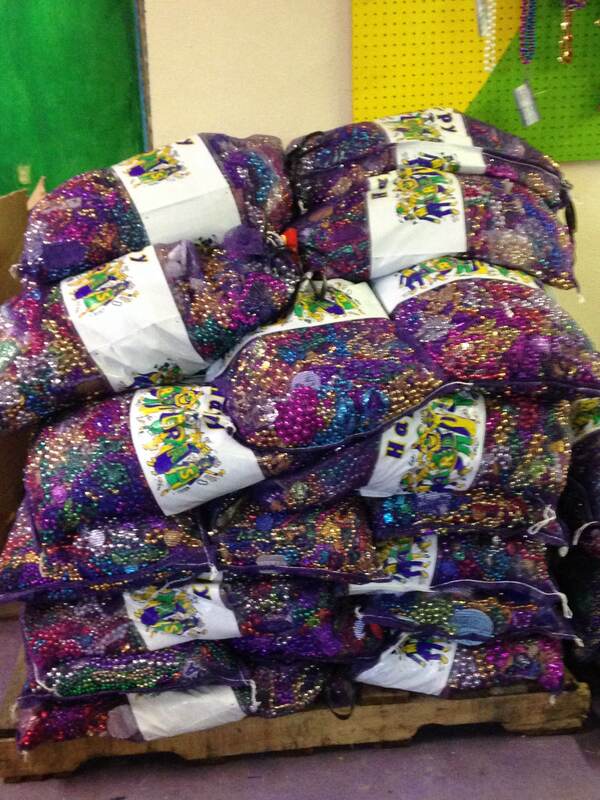 One group went to help out at ARC, where they separated Mardi Gras beads with the intellectually disabled. 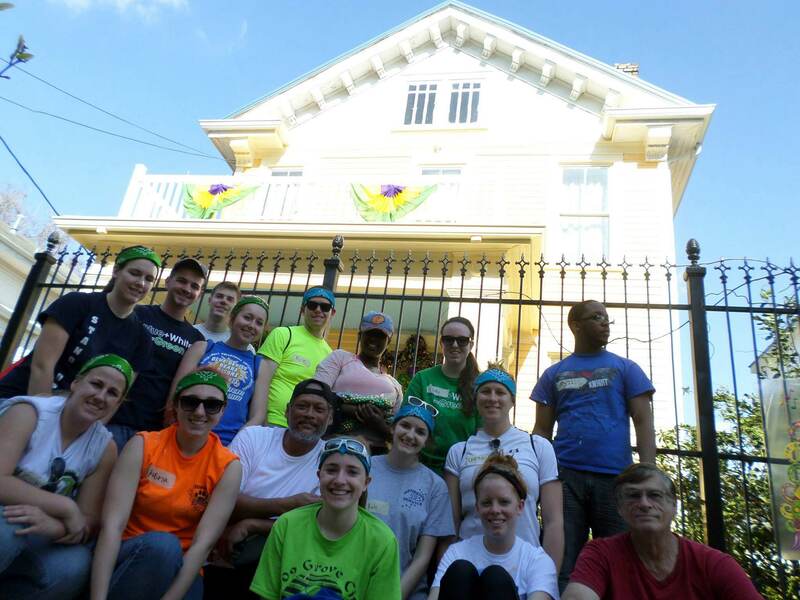 The last group went to do garden work in a New Orleans community. While doing our work in the amazing 75-degree weather, we heard that Erie had a winter weather warning on the way. We couldn’t be more thankful for how beautiful our first day was! Everyone was working hard in the hot sun and some of us have sunburns to prove it. After all 28 of us showered (which is quite the chore), we enjoyed a simple pizza meal to end our great day. Our first reflections started tonight, which included Marissa’s, our four trusty advisers, and Paul’s. Marissa’s reflection started off by her handing out bandannas for the small groups (a different color for each group). 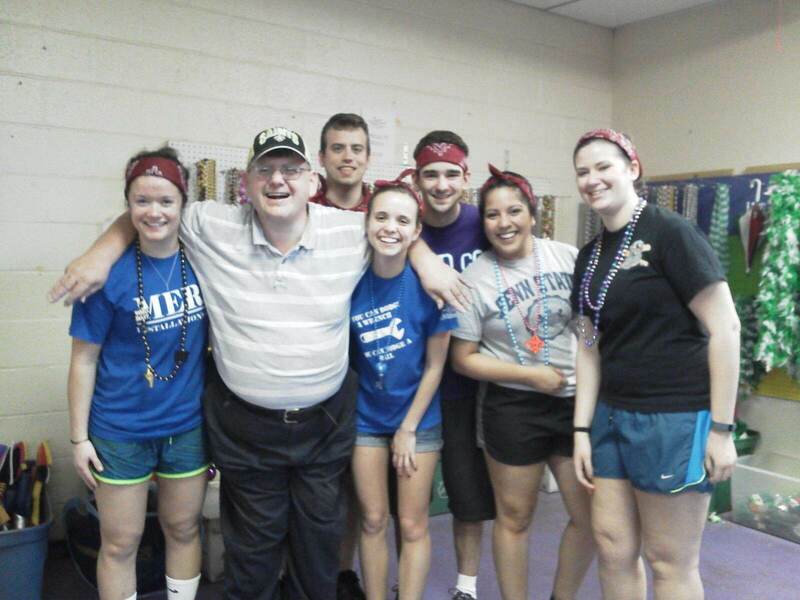 The bandannas were to symbolize teamwork and the students getting to know one another better. The advisers’ reflection helped the students understand more about what happened in 2005 when Hurricane Katrina hit and how it still affects the area today. They also asked each student to write down the moment when they fell in love with service or their most memorable service experience. We each wrote ours on a large poster board, and we were able to look at each other and talk about our experiences. The last reflection of the night was a crafty one. Paul brought in picture frames that everyone could decorate and have a place to put their memories. 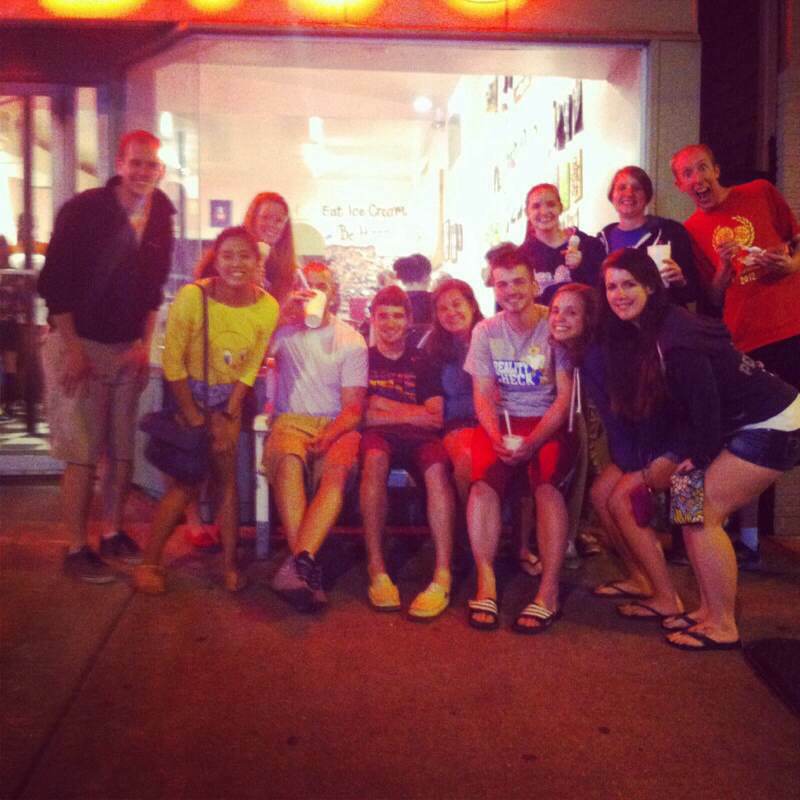 We ended the night with a game of spoon and then headed to the Creole Creamery to experience the famous ice cream. You guys are the best by far. Giving up your Spring break to help people you don’t know is TRULY AMAZING. What an awesome group to give up your spring break to help others.. If only there were more people like you. We are so proud of you.